Lavocatisaurus agrioensis belongs to the group of sauropod dinosaurs, those quadruped herbivores of neck and long tail between which there were gigantic species that weighed more than 70 tons and other "dwarfs" that did not exceed 10 meters in length when reaching adulthood. 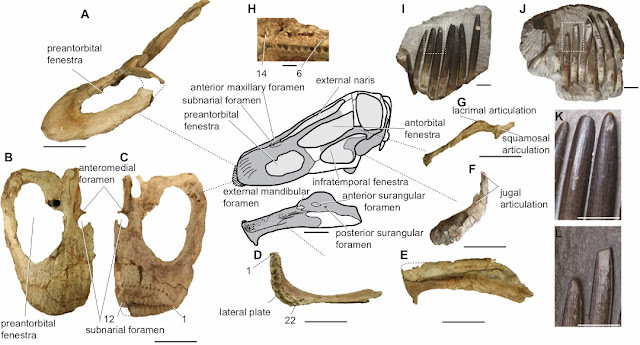 "We found most of the skull bones of the Lavocatisaurus: the snout, the jaws, a lot of teeth, also the bones that define the orbit of the eyes for example and, in that way, we were able to do a very complete reconstruction", detailed Carballido, who, in 2017, presented to the world the largest dinosaur known to date: the Patagotitan mayorum. In addition, part of the neck, tail and back of this animal were found. 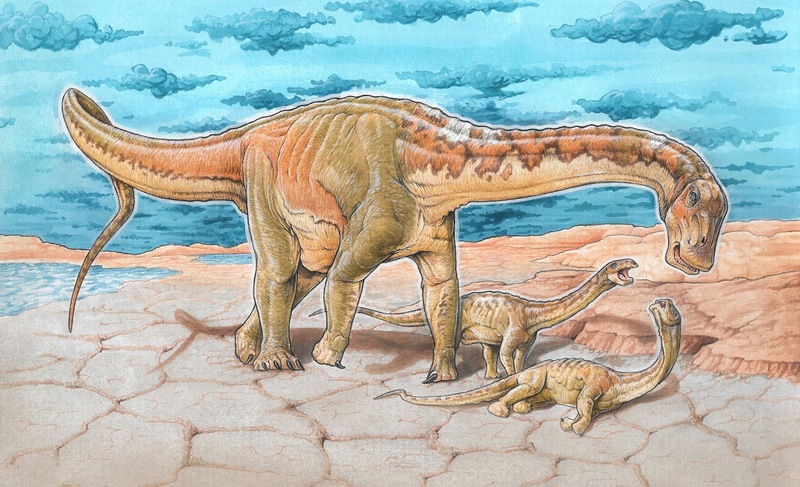 Dr. José Ignacio Canudo, researcher at the University of Zaragoza and lead author of the study, said that "in the case of Lavocatisaurus, we estimate that the adult specimen measured 12 meters, while juveniles were around 6 to 7 meters." 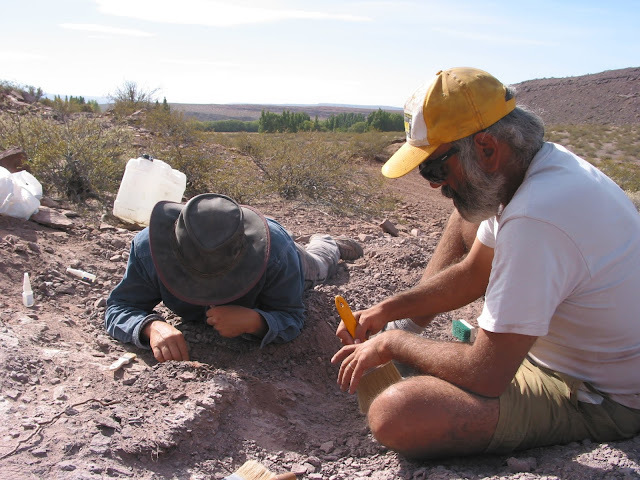 "This discovery of an adult and two juveniles also meant the first record of a group displacement within the dinosaurs rebaquisáuridos", added the paleontologist Canudo. The finding occurred in the center of the province of Neuquén. Carballido described that "at that site, 110 million years ago, the environment was very desert, with sporadic lagoons, so we discarded finding fossils there; Although it is estimated that this group of sauropods could have been adapted to move in rather arid environments, with low vegetation, with little humidity and little water, it is an environment in which one would not be looking for fossils ". A Spanish-Argentine team, composed of researchers José Ignacio Canudo (IUCA-University of Zaragoza), José Luis Carballido (MEF-CONICET), Alberto Garrido (MOZ - Neuquén) and Leonardo Salgado (UNRN-CONICET), conducted the study of Lavocatisaurus, published in the scientific journal Acta Palaeontologica Polonica. Previously, in Nigeria, an almost complete skull was found within the group of rebaquisáurids. "The skull of the Lavocatisaurus is quite different, more basal and with more primitive characteristics", explained Canudo to the Agency CTyS-UNLaM. 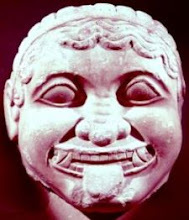 "Until the discovery of Lavocatisaurus, it was believed that the rebaquisáuridos had two facets of wear on their teeth, but here we clearly see a single facet of wear that, in no way, is the product of the friction of the upper teeth with the lower teeth, because the lower teeth are very small in relation to superiors, "explained the researcher at the University of Zaragoza.